Kakao Friends character Apeach, one of emoticon characters featured on South Korea’s largest chat Kakao Talk platform, is the official new face of the Korea Tourism Organization. The tourism organization said Tuesday it will launch marketing campaign led by Apeach to attract travelers to Korea. It hopes the popular character could help attract 3.2 million visitors from Japan this year. The first collabo starts with the “More Korea” event at Daikanyama Tsutaya Books in Daikanyama, Tokyo. 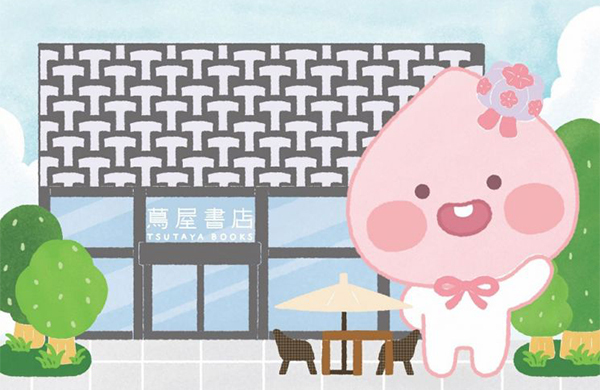 A special exhibition dedicated to the Apeach character will be held with a Kakao Friends’ pop-up store during the event running on Mar. 9-24. Apeach has built up a large cult following in Japan since the opening of Kakao Friends’ first overseas store in Tokyo in December last year. Kakao installed another pop-up store in Shanghai, China, early this month which will be run for three weeks.